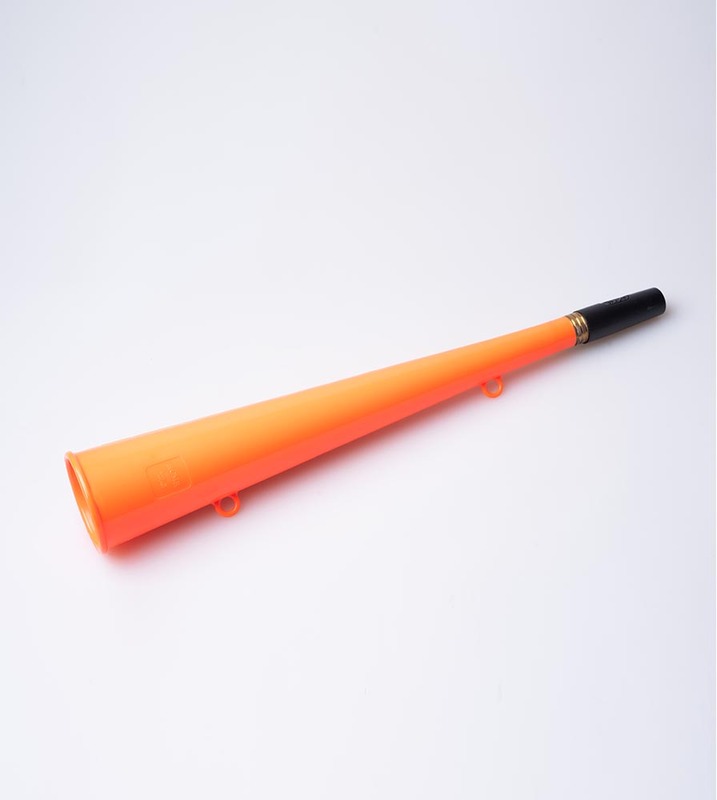 Acme Marine Signal Horn 566 in Orange. S.O.L.A.S. approved, brass mouthpiece and thermoplastic signal horn. Extremely tough, corrosion proof, produces a penetrating blast; over 122 decibels of sound. The horn is rated at 115 dba but every person will blow differently. Audible at great distances, conforms to international maritime regulations; ideal emergency fog horn for small craft. Useful on construction sites, for field sports warnings, on railways and airfields. Can be supplied with interchangeable mouthpiece (pattern no. 372) for situations where urgent reed replacements may be essential. Extra large with a deep tone. A customer asked what would happen if the horn was to be cut in half? The only really difference that would be made to the sound is the loudness. The long nose projects the sound and generates a louder noise. Tone & Frequency theoretically shouldn't be affected.